Chloe Chapman has been a standout basketball prospect in the 2019 class for years. Chloe Chapman started fielding basketball scholarship offers when she was in middle school. The former No. 1 prospect in the 2019 class and current No. 28, the speedy Chapman has received interest from virtually every major program in the country. She could go just about anywhere to play basketball at the next level. It's a decision every young player dreams of getting to make. But it wasn't enough for Chapman. 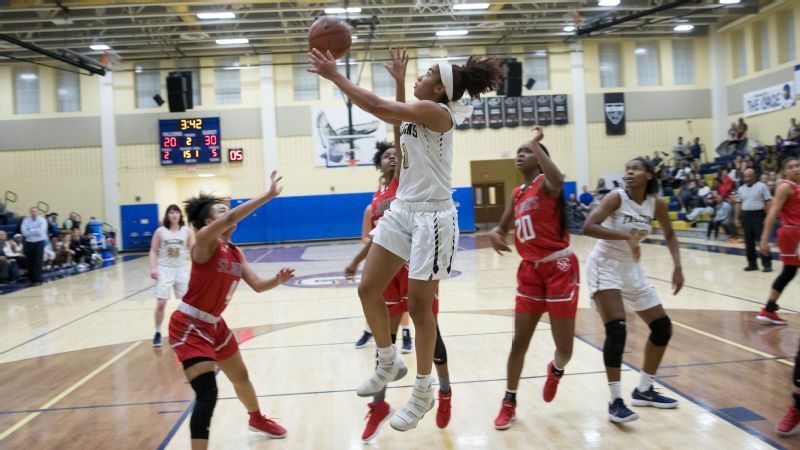 Turns out, the multi-talented 5-foot-7 point guard at Good Counsel (Olney, Maryland) has much more than a passing fancy for soccer. 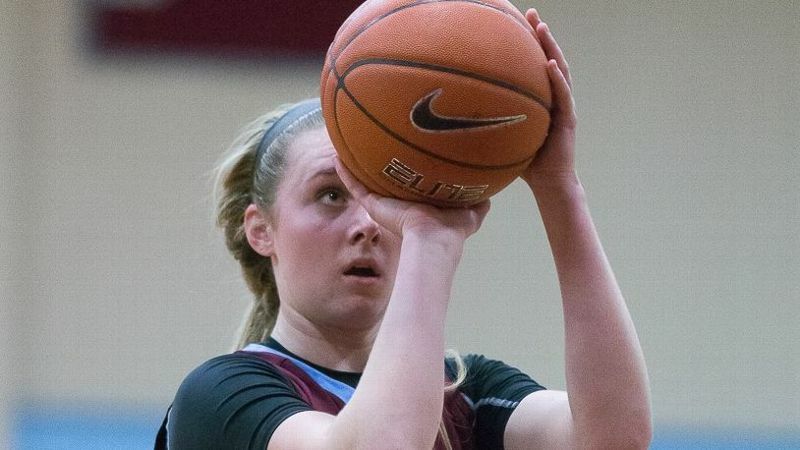 So during the recruiting process, her father, former Virginia Tech quarterback Erik Chapman, put together a highlight video from her high school soccer games to see if schools would allow her to be a dual athlete. The Chapmans weren't sure what the reaction would be, largely because Chloe didn't play club soccer due to her basketball commitments. But they figured it was worth a shot. "People have always said to me, 'You're going to pick basketball and forget about soccer,' like it was a fact or something," Chapman said. "Everyone just assumed I would do that. But that was never my plan, and honestly, [the naysayers] have helped motivate me in doing both. I know I can do this. It's rare for athletes to do soccer and basketball, and this is a breakthrough thing that I want to be known for and show others you don't have to pick just one." Chapman estimates that more than half of the schools that made her a formal basketball offer wanted her to play soccer as well. 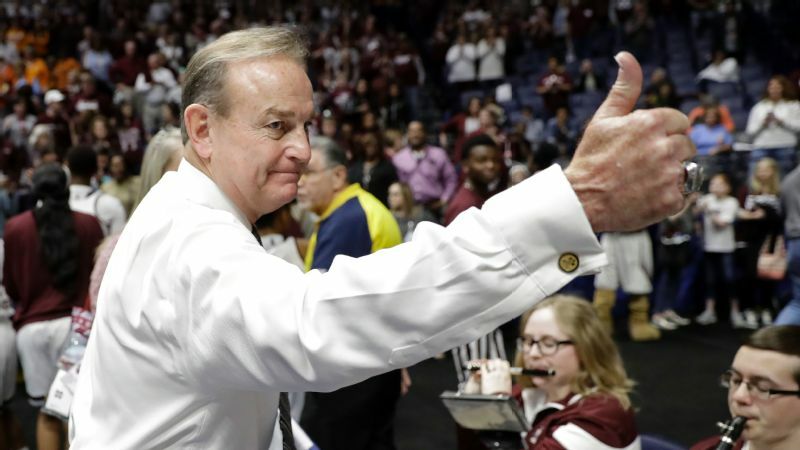 After being courted by some of the most respected names in the basketball and soccer coaching worlds, Chapman fell in love with the Georgia campus and its athletic facilities. Both Bulldogs teams made strong pitches to her, and she felt she could make an immediate mark on the on-the-rise programs. 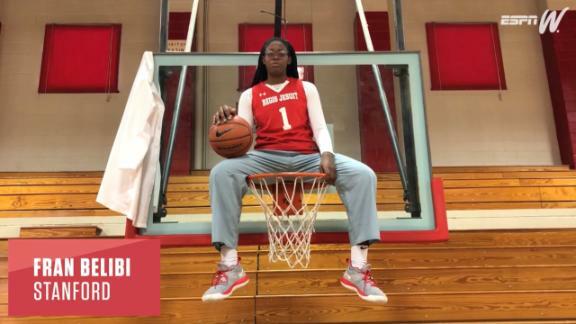 She verbally committed in August, before scheduled visits at several other high-profile schools, because she didn't want to waste anyone's time. 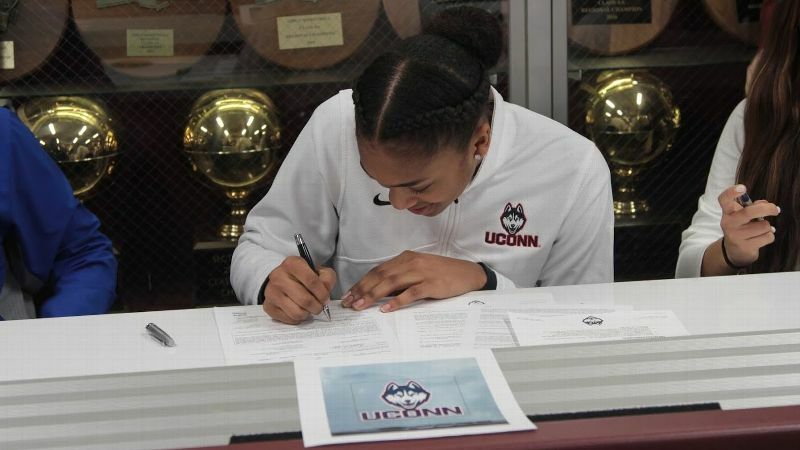 She signed her official national letter of intent on Wednesday. With her college decision made before the start of the school year, Chapman had more time than ever to devote to her high school soccer team this season. She's enjoyed every minute of it -- and helped lead Good Counsel to the Washington Catholic Athletic Conference title earlier this month. The speedy forward had two assists in the 3-2 victory over St. John's (Washington, D.C.). 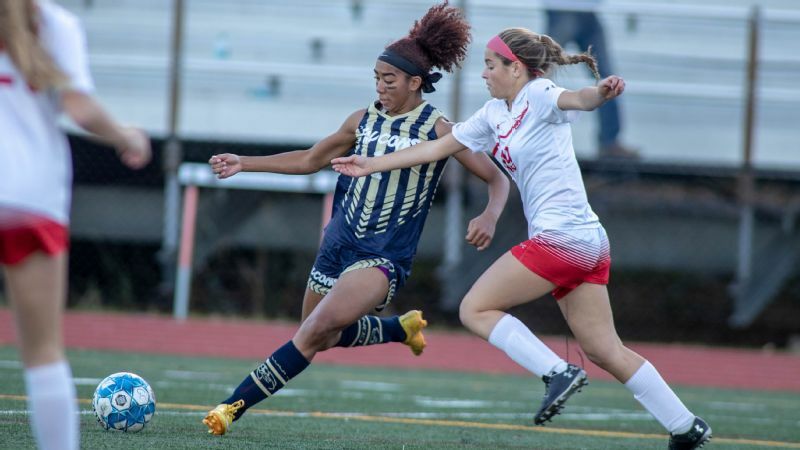 She finds most people she talks to are shocked to hear she's going to play soccer at Georgia, and some people seem stunned to hear she's even still playing at the high school level, despite her success. She's had more than a few people express their (unsolicited) reservations. "Most people are just speechless for a second when I tell them," she said. "But then they're like, 'You're going to be dead tired.' That's when I say: 'I know, but I'm more than capable of doing it.' I think it's just a mixture of shock and admiration, but it helps because I want to prove I can do it." She, for the record, isn't worried about the non-existent break between seasons and the workload she'll face. After all, it's not like it's anything new. "Chloe has the balancing thing down," said her longtime AAU basketball coach Robert Hildreth. "Consider this: she plays club basketball with us until July, and then has two weeks off before starting preseason soccer. And then when soccer ends, the high school basketball season is starting. So she might get a few days off here and there, but that's been her schedule for the last four years. Did I mention she has a 4.0 GPA? "I know it's hard to play either of these sports at the next level, but if anyone can do this with both, it's her. She's just that talented, that determined and that committed." Speedy Chloe Chapman didn't play club soccer, but she impressed coaches with her play for Good Counsel. Chapman won't be the first dual-sport athlete at the Division I level by any means, but it's far from common. Deion Sanders and Bo Jackson famously did so during their collegiate careers, with Sanders somehow managing three sports. Kenzie Kent (lacrosse and ice hockey at Boston College), Jennifer Hamson (basketball and volleyball at BYU) and Elizabeth Eddy (soccer and lacrosse at USC) are more recent examples. Julie King, now a defender for the North Carolina Courage in the NWSL, played one season of basketball in addition to her four years of soccer at Auburn, and is one of the few to play Chapman's combination of sports. "People don't usually associate the two sports the way they might with other sports, like football and track, or even basketball and volleyball," Chapman said. "But I think the sports complement each other, the footwork overlaps into basketball, and the other way around. Being able to play with your feet, and then transfer to playing with your hands, it really helps increase skill level. 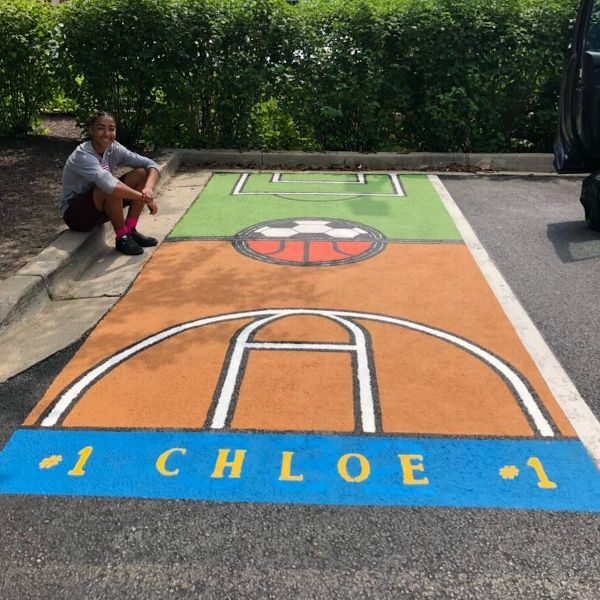 Chloe Chapman shows off her artwork in her reserved parking spot at Good Counsel. "My teammates always tell me they're jealous because I'm never out of shape, which is true. Playing both helps with general agility and athleticism." 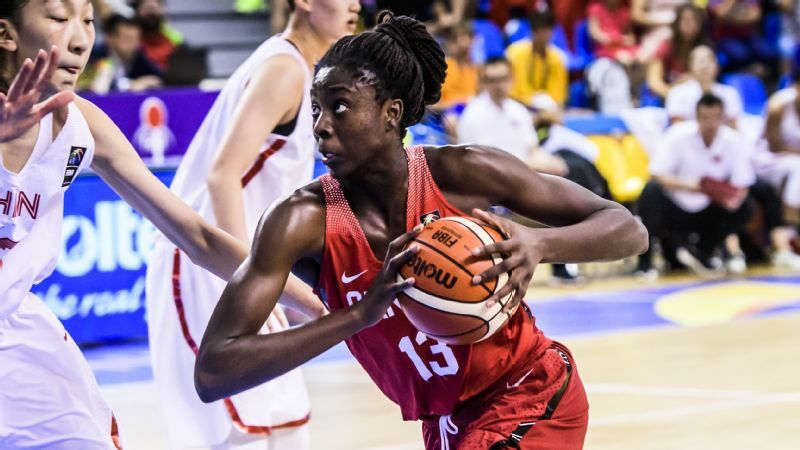 While Chapman feels confident her skills will transition from the field to the hardwood in Athens, she doesn't think her high school basketball team will have the same success as her soccer team this year due to the loss of several seniors after last season. Still, she hopes to finish her high school career with some hardware -- specifically Maryland's Gatorade Player of the Year. "It would just mean I have a legacy at the school, and it would be cool to leave my mark that way," she said. But regardless of awards or titles, she's focused on enjoying the rest of her senior year, without feeling the pressure of recruiting. She's not sure what the future holds after college, but she hopes it includes the WNBA and something with graphic design. She is an artist who customizes sneakers for family and friends, and would love to continue that into adulthood. Hildreth is so impressed with her creative talent and drive, he wouldn't be surprised if she ended up being just as successful with that, as she is with sports. "She can do whatever she puts her mind to," Hildreth said. "I could see her as the CEO of a marketing design firm. She will be great in whatever she does. Chloe is a local hero, everyone just loves her. When she walks in a room, everyone just smiles. She's the ideal student athlete, and exactly who every parent wants their daughter to be." If Chapman feels pressure from the constant glare of the spotlight or the high praise bestowed on her, she doesn't show it. She knows it will only get more intense as she starts over at the next level, but she plans on simply doing what she's always done. "I always feel like I have something to prove every time I step out onto the field or onto the court," she said. "Because there's always someone who probably doesn't even know who I am. So I'm always trying to prove, this is who I am. They will know my name after this game is over, and they won't forget it."